Scale the spectacular Mount Kilimanjaro; breathe in the adventure right from Machame Gate to the summit at Uhuru peak on this 8-day Tanzania trek! Camping tour commences at Moshi! Your guided Tanzania trekking tour starts at Kilimanjaro Airport where you will be met by our representative. From the airport you will be transferred to Moshi. Mt Kilimanjaro, which stands at a height of 5895 m and is the world’s tallest freestanding mountain. Kilimanjaro is also the highest point in the world to be covered by a GSM mobile phone network. 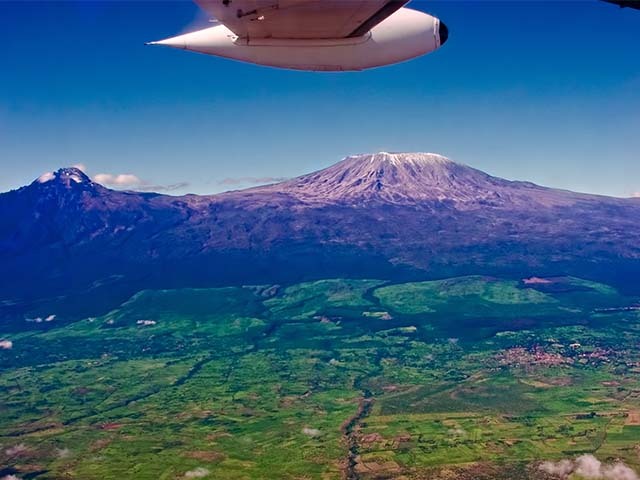 Kilimanjaro is a giant stratovolcano, other names for this volcano are, Kilima Dscharo, Oldoinyo Oibor (White Mountain in Masai), and Kilima Njaro meaning shining mountain in Swahili. This volcano’s highest and youngest cone is named Kibo. Shira (3962 m) to the west and Mawenzi (5149 m) in the east are older cones that make up Kilimanjaro. Kibo has not been active in modern times, but steam and sulphur are still emitted. 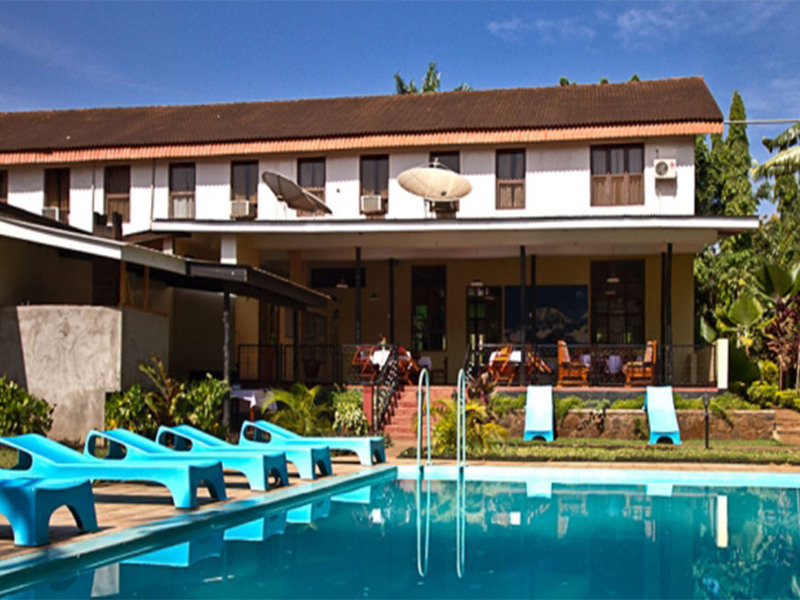 After breakfast, a 45 minute drive will take you to the entrance of Kilimanjaro National Park. You will enter through Machame Gate at a height of 1840 m. The trek starts here along the Machame Route and within a short time, you will be deep within the magnificent mountain rainforest. If you are lucky, you may catch a glimpse of the black and white thumbless Colobus monkeys. 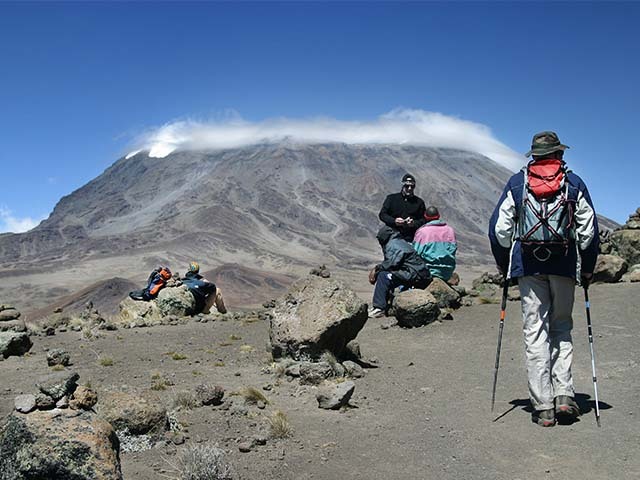 Five to seven hours of trekking will take you to your first camp; Machame Camp at an altitude of 3000 m. Stay overnight at this camp, at the base of Mount Kilimanjaro. Start early from the Machame Camp. The path will turn steep and the landscape will turn into a moor and heath land, allowing you to take in the impressive mountain range. Today’s trek is shorter than the last one and by mid-afternoon, you will arrive at the campsite at Shira Plateau. The camp is at a height of 3950 m and offers a breath-taking view of the mountain, especially at sunset. Today, you will climb a height of about 700 m. Yet, you will be camping at an elevation only slightly higher than the previous night. This will allow your body to acclimatise, as you will be on an ascending trek for the next two days before you start the return descent. The trek begins with a long ascent above the Shira Plateau and towards Lava Tower Hut (4630m). After 6-7 hours, you will arrive at one the most beautiful camps on Kilimanjaro- the Barranco Camp, at a height of 3950 m.
Climb the “Barranco Wall” today. The climb is risky and safety is paramount. You will be secured, where necessary, along this route. As you follow the wandering ridge, you get a splendid view of the south glacier of Kibo. Have lunch in the Karanga Valley. Later climb on to Barafu Camp (4700m), it is a two to three-hour climb. Once at camp, you can relax and have dinner. Sleeping early is recommended as you will start the next wing of our trek around midnight. Your climb begins at midnight today. 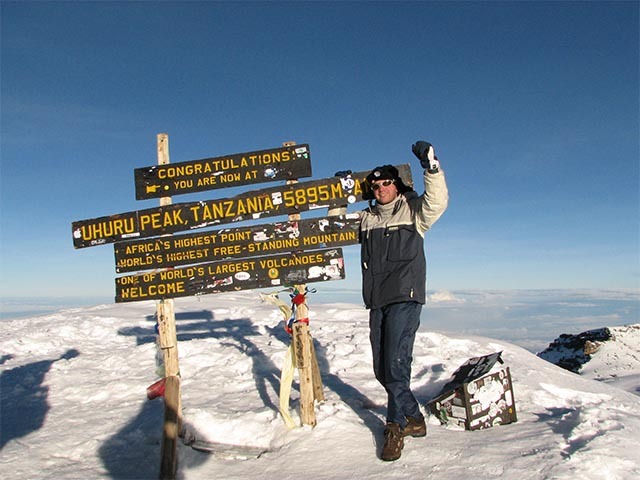 Climb the steps of Kibo and arrive at Stella Point after five to seven hours of hard work. This is the crater rim of Kilimanjaro, from which you continue for another hour or two along the edge to Uhuru Peak (5895m), the summit! After savouring your victorious climb, descent along the same route and shortly before midday, you will arrive at Camp Barafu. After a well-deserved break, you will be on your way to Camp Mweka (3100m) where an evening meal and a good night’s sleep awaits you. The final leg of your Mount Kilimanjaro trek begins after breakfast with a traditional farewell ceremony from your mountain guides. Then go on an easy two-hour descent through the rainforest to Mweka Gate. You will then be driven back to the Hotel in Moshi. The Tanzania trekking tour ends today. After breakfast, you will be transferred to the airport for your flight back home.